One by one thy came over to pay homage and show appreciation. There was an old, white-haired lady, two young black women, a guy in a ball cap drinking a beer, a father and his little daughter, a pair of former Wright State athletes. They wanted to let Katrina Merriweather, the WSU women’s basketball coach, know how they felt. Earlier in the day, Merriweather — like her counterpart, Raiders men’s coach Scott Nagy — had been named the Horizon League Coach of the Year. And just an hour earlier, her 25-6 team had roared past Oakland, 83-60, in a first-round conference tournament game played here at the Nutter Center. Now – as the men’s team was in the process of dispatching IUPUI, 71-56, in a first-round game, as well — she stood near a black-clothed backdrop beyond the end of the court and relaxed. And as different as all those people were who came up to her, they all left with one thing in common. “We need positivity around this university right now. We need the university to gain footing and a positive momentum and to heal to a certain degree. 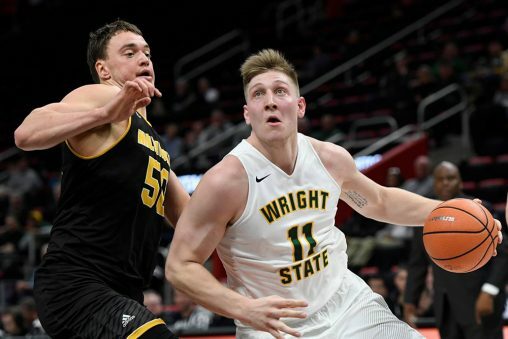 And after a very tough year, Wright State University needs all the good stories it can get. A 20-day strike by unionized faculty members ended less than a month ago. During that time, there were student sit-ins, some classes were cancelled and there was vitriol on both sides of the picket line. That was just the latest blow to a school whose finances have been severely hampered by years of overspending. Meanwhile, donations and enrollment have declined and there was the threat the school would face a state-mandated fiscal watch. And that’s what happened Tuesday on what has to be one of the best news days in Raiders’ athletic history. The morning began with Merriweather and Nagy being named the top basketball coaches in the league. Nine athletes – five men’s players and four women – also got all-league honors. 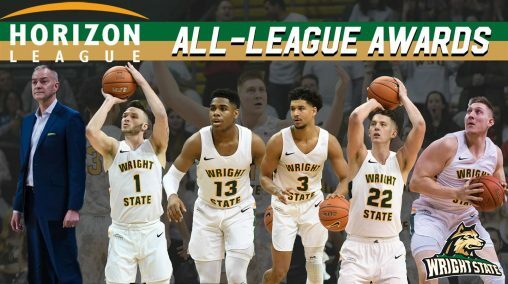 From the 20-12 men’s team, 6-foot-9 post player Loudon Love won firs-team honors, guard Bill Wampler was named to the second team and both Parker Ernsthausen and Mark Hughes were on the all-defensive team. Malachi Smith was voted to the all-freshman team. 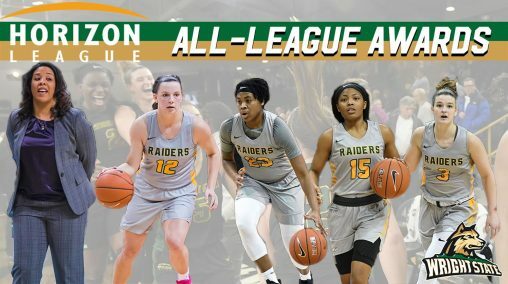 For the women, guard Mackenzie Taylor got first-team honors, Symone Simmons was named to the second team, Angel Baker was an all-freshman pick and Emily Vogelpohl was part of the all-defensive team. And truthfully both Cole Gentry for the men and Michal Miller for the women were deserving of recognition, as well. 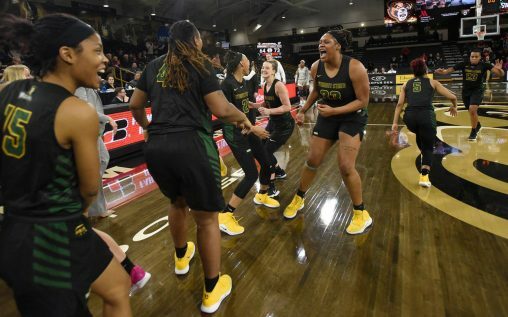 The women’s team – for the first time in school history — won the Horizon League regular season title outright and the men shared the league crown with Northern Kentucky. Both Raiders teams are No 1 seeds in their tournaments, which resume Monday with semifinal play at Little Caesars Arena in Detroit. Meanwhile, the Raiders baseball team is on an extended road trip to start the season and its 4-4 record against nationally-ranked teams includes victories over top 20 teams East Carolina, Ole Miss and Oklahoma State.